It may be hard to believe, but spring is on its way and spring break is right around the corner.Take advantage of your kids’ days off with a fun getaway.The Pacific Northwest is home to a multitude of gorgeous destinations so you don’t have to jump on a plane or go far for an exceptional experience.Whichever way your compass points, there are adventures waiting for you. 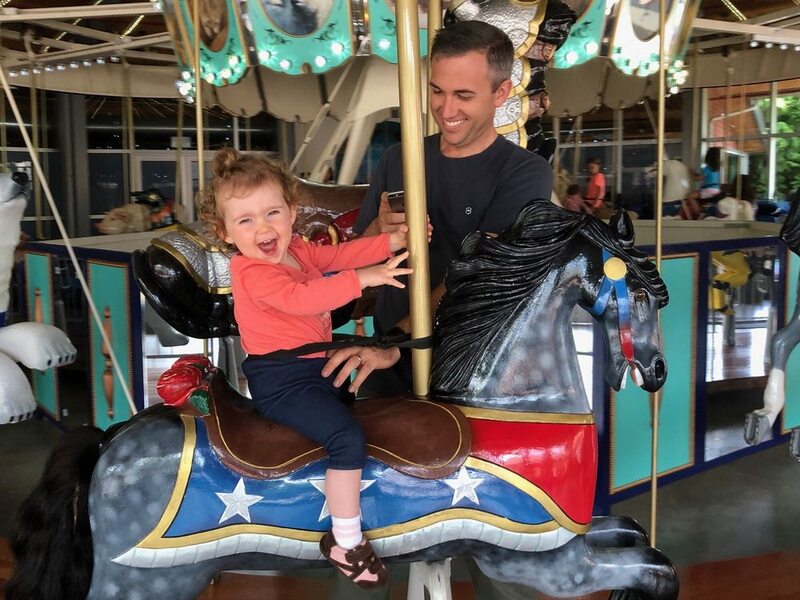 From vintage trailers to world-class plays to glass-blowing, we’ve lined up the best spring break getaways for Portland families. Read on to find out more! This historic town is where the forest meets the sea, and your family meets a good time! Started by Scandinavians, fur traders, Lewis and Clark, and named for John Jacob Astor, the city boasts a mix of all those influences perfectly. Admire the lovely Victorian houses on the hilltops, stop by Finn Ware for some Scandinavian-inspired goods (like salty licorice! ), or check out Lewis and Clark’s 1805 winter camp at Fort Clatsop. In town, don’t miss a walk along the pier and a stop at Frite and Scoop for french fries and ice cream. If you tire of walking, wave a $1 in the air near the trolley tracks to catch it, and you’ll be able to ride from one end to the other! Full round trip takes about an hour. Jump off at the Columbia River Maritime Museum, especially if you’re little ones are fans of boats. This small museum does a really great job at offering interesting and dynamic exhibits, and you can even step aboard a real floating lighthouse ship! You’ll look at the river outside differently once you learn how dangerous it actually is to the ships sailing it. Stay at the Cannery Pier Hotel, built on the site of an old cannery, 600 feet over the water. You’ll get views of the real working boats that ply the waters, and you can rent bikes to explore even more. Across the river in Washington, take a day to explore Cape Disappointment, which is much better than it sounds (someone had a bad day there!). Clamber over rocks to scan the waters for whales, who tend to migrate in March. The numerous hiking options include a great lighthouse, and you can warm up inside the Lewis and Clark Interpretive Center, which marks the end of the group’s epic journey to the Pacific. For a stay on the Washington side of the river, check out the Sou’wester Lodge in Seaview. 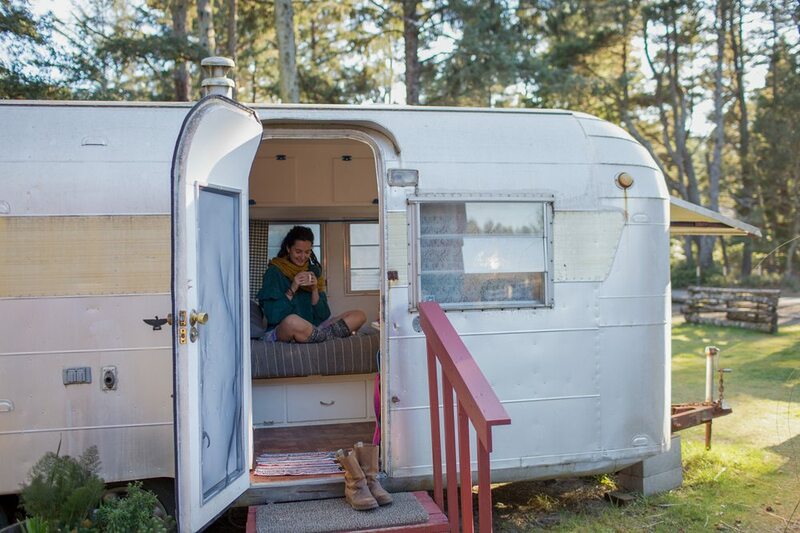 A beloved hipster hodgepodge of vintage airstream trailers, cabins, and a guesthouse, the campus offers a sauna and spa services, live music on weekends, fire pits for roasting, an honor-system store with local goods, and bikes to borrow to search out the beach just down the road. Southern Oregon boasts beautiful green fields, a wine country to rival the best, and stunning rugged landscapes. It also has some of the best family-friendly fun around! The famed Oregon Shakespeare Festival’s season lasts most of the year, so it’s easy to catch a great show. This spring, if you’re kids are middle school or older, try checking out Sense and Sensibility, or Destiny of Desire. You can also do a backstage tour, where you get to hear fun facts from personal guides, and see a peek behind the several stages the festival uses each year. If science is more up your kids’ alley, check out the excellent Hands-On Science Works museum. Older kids can have fun in many exhibits like Da Vinci’s Garage for some tinkering, or thrill the 5 and under crowd with the Shipwreck Playhouse of Discovery Island. While the nearby mighty Rogue River is great fun to raft, the peak season is in summer, so instead get out on the water with a fishing tour! March is the perfect season for Winter Steelhead. All you need is a fishing license, and the family-owned Fishing the Rogue will set you up with everything else. If you’re lucky, you’ll even come home with dinner! And for a unique and fun experience, stay at a working farm! The Willow Witt Ranch has 445 acres of forest, wetland, and a small sustainable farm. Choose from the Farmhouse Studio, the large Meadow House, or pitch your own tent, then spend your days finding spring blooms in the meadows around it. For a really different experience, go on a day hike with the goats! The goats will pack your lunch on the 4-hour excursion up to nearby Grizzly Peak, where you can enjoy beautiful views of the valley below. Nestled into a beautiful harbor across the bay from Tacoma, this charming town will often escape attention in favor of the much bigger city to the north, but it’s worth the visit. With Mt. Rainier rising above the harbor in the distance, the views are beautiful, and the fun times are even better. The harbor defines this small town, so be sure to explore it thoroughly. Climb the 100 stairs up Finnholm View Climb for a truly beautiful sight. Then get out on the water yourself! The historic Eddon Boatyard is a working non-profit that offers boatbuilding knowledge to the community. Stop by and ask what they’re working on these days– you’ll also be able to rent rowboats and electrical boats starting at $15/hour to explore the harbor. The Harbor History Museum offers a look into the history of the area, including twisted pieces of “Galloping Gertie,” the Tacoma Narrows suspension bridge that collapsed in 1940. Be sure to note the bridge to the kids when you go over the current one, and take a moment to be thankful for better engineering. The history museum is also restoring the Shenandoah, a 65-foot fishing vessel you can go aboard. Just over that (much safer) bridge in Tacoma, even more fun awaits. Spend some time hiking around Point Defiance Park, and see the Point’s Zoo and Aquarium. In the city, check out the Bridge of Glass and the Museum of Glass showcasing local artist Dale Chihuly’s works–even young kids will love the colorful twisty works, and the glass-blowing demonstrations are super cool. If you have very young ones in tow, bring them to the Tacoma Children’s Museum for an afternoon exploring their five different themed playscapes (like Wood, Water, and Voyager). Enjoy the heated outdoor pool and a cozy room at the Best Western Wesley Inn, or watch the alpenglow on the mountain from your harborside room at the Waterfront Inn. At a mere hour away from Portland, this state park is easy to overlook for bigger vacations elsewhere. But don’t be fooled–the green jewel is full of fun times, and is affordable and easy to get to. You’ll be able to escape to the woods while still sleeping warm and cozy. The state park offers over 35 miles of hiking trails, and the good news is that spring is the perfect time to see wildflowers start popping up all over! Waterfalls are the thing to see here, and the full 7 mile Trail of Ten Falls loop will let you see them all. Don’t miss out on the four falls that you can actually walk behind! If you’re not up for the full loop you can easily drive to the trailheads and break it up into sections as small as 1 or 2 miles. And if you want to go a bit faster, hit the dirt on your mountain bikes. Or just spend a day hanging by the wide creek and throwing sticks in the river on the South Lawn. Nearby you’ll find picnic shelters, barbeque stands, a playground, and horseshoe pits for the perfect afternoon picnic. If you need a day in town after some hiking, drive 15 minutes to Silverton, a sweet historic town. Go on a mural hunt for the town’s 30 gorgeous works, try some locally-brewed beers (ok, parents only), find a Frank Lloyd Wright House, or stop by the 80 acres of the Oregon Garden for more spring blooms. Stay in cabins at the park through the National Park Site, or check out the Silver Falls Lodge, with 37 lodge rooms or private cabins available.